UPDATE: The Firefighter Cancer Support Network appreciates your donation to support our postponed gala and fundraiser: bit.ly/FCSNdonation. To receive updates, please go to bit.ly/FCSN_gala_notice. Since 2005, FCSN has helped thousands of firefighters and their families cope with cancer. We hope you’ll join us for a fun evening with cocktails, dinner, silent and live auctions, and a high-energy concert by one of the top rock cover bands in America, The Trip! The Trip will take you on a fun-filled musical journey through the 60s, 70s, 80s, 90s, and today with classic-rock, alternative, Top-40 and modern-rock hits. Named “best cover band” by CBS, The Trip is the official Los Angeles Dodgers pre-game party band, and they have rocked the deck of the USS Midway and dozens of Fortune 500 company events. We’re happy to welcome back the Pipes and Drums of California Professional Firefighters for an inspiring opening. We’ll also feature the presentation of the FCSN Dallas Jones Memorial Award, the FCSN Spirit of Debbie Wood Award, and the FCSN Michael Dubron Founder’s Award. Get ready for a fun, heartfelt, fast-paced evening – get your tickets now! Individual tickets are $125, and tables of 10 are $1,125 each. The nonprofit Firefighter Cancer Support Network is extremely grateful to those who make our vital support, awareness, and prevention missions possible. For details about becoming a gala sponsor or donating goods or services for the auction, please download the sponsor and donation forms or contact Lisa Raggio, FCSN’s director of government and donor relations, at lraggio@fcsn.net. FCSN will be happy to process your credit-card transactions directly, too. Please contact FCSN Treasurer Trey Kelso at treasurer@fcsn.net for details. FCSN has been a leader in the battle against occupational cancer for more than a decade. We’re marking FCSN’s 11th anniversary with some of our partners in the fight. 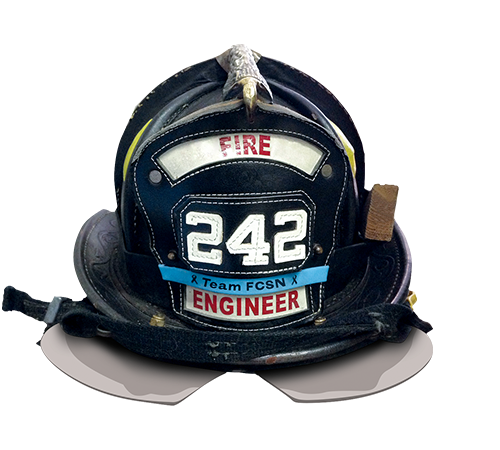 We’ll be joined by survivors we’ve helped along the way, including many who are now helping other firefighters through their cancer diagnosis, treatment, and recovery phases. We’re also welcoming the other survivors – the families, friends, and colleagues of those who have passed on. Please join us – get your tickets now! If you won’t be able to make it for the gala, please consider making a tax-deductible donation to help FCSN continue our service and support for firefighters and their families.